Vernazy Mustache Solo Vintage french club chair. 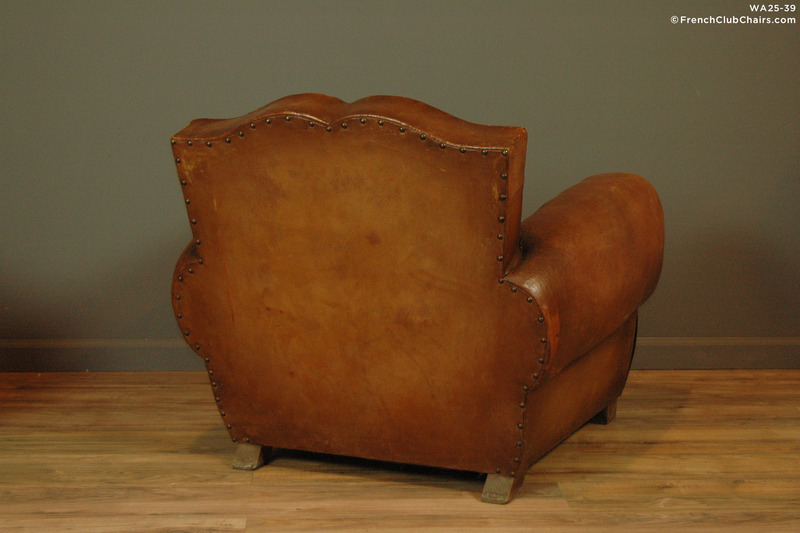 This orphan Mustache back club chair features all original leather with a nice worn patina, but no tears. This is the chair you want when you're looking for that perfect, midsize chair to tuck into the corner of a bedroom with a stack of books. Circa 1940s. measurements: depth-35", width-37", height-30.5", seat depth-23", seat width-18", seat height-17"